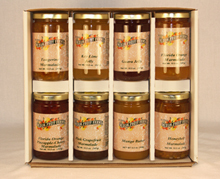 Mixon's Jellies, Marmalades and Spreads are in demand all year round. Our Southern Pie recipe is so easy, just blend together the marmalade and cream cheese, then fold in cool whip and pour into graham cracker crust. Great for Thank You or Hostess gifts.